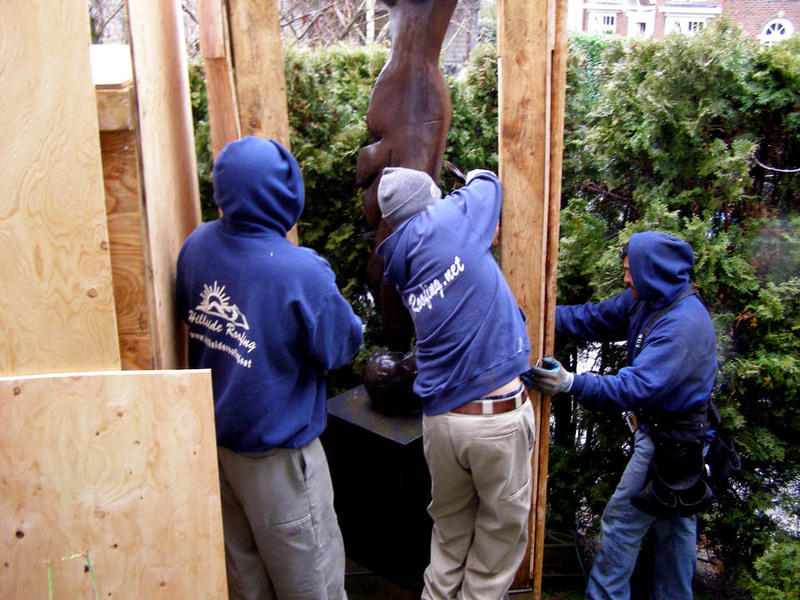 Every project tells a story, so here’s a few of ours. 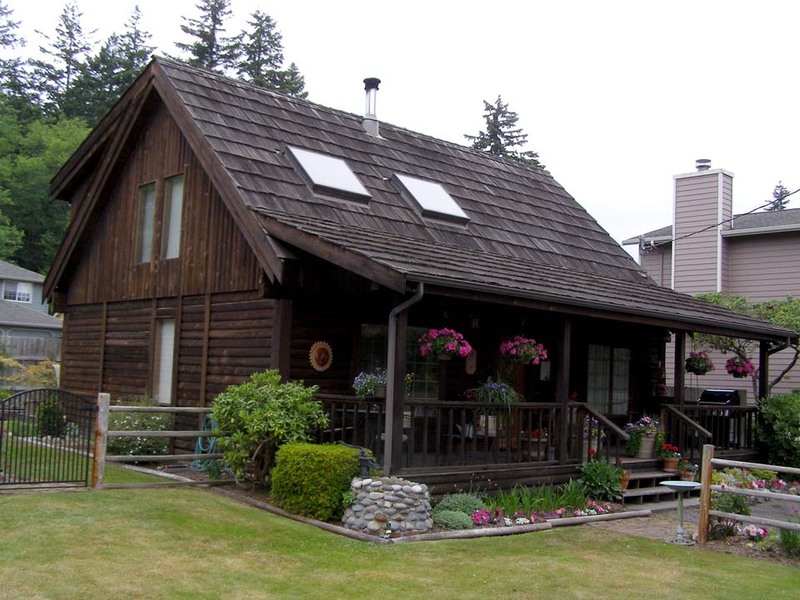 We were happy when the owners of this log cabin style home decided to replace their old shake roof with treated medium shakes. 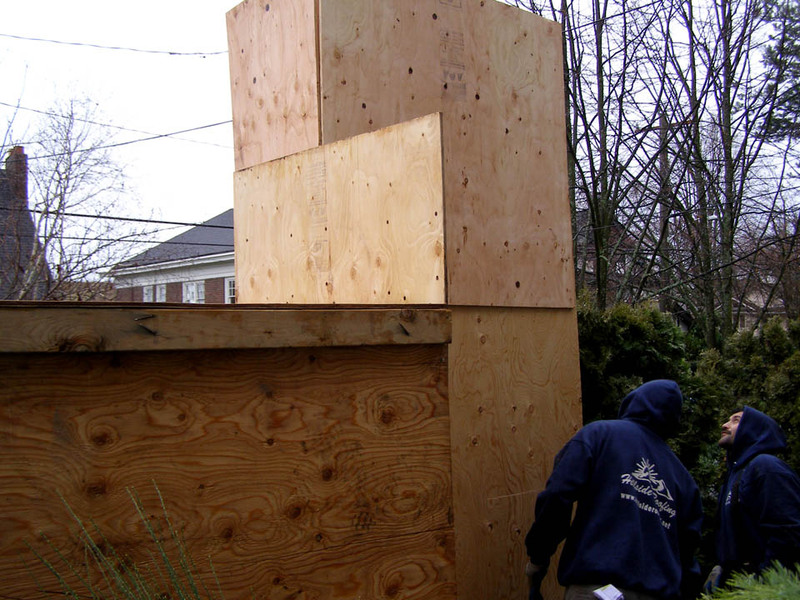 These shakes are treated against decay and will perform better and look “fresh” longer than un-treated cedar. 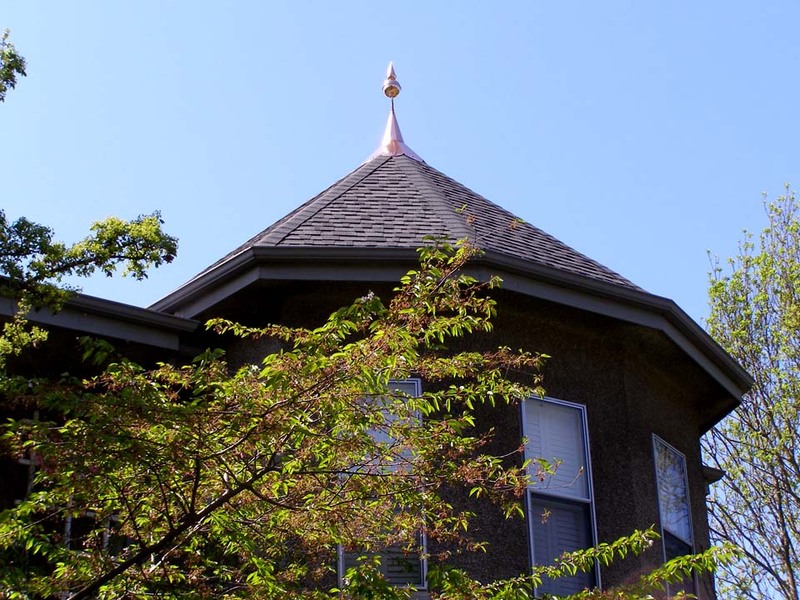 We use only the finest 100% clear edge grain premium cedar shakes available ensuring the highest quality roofing. 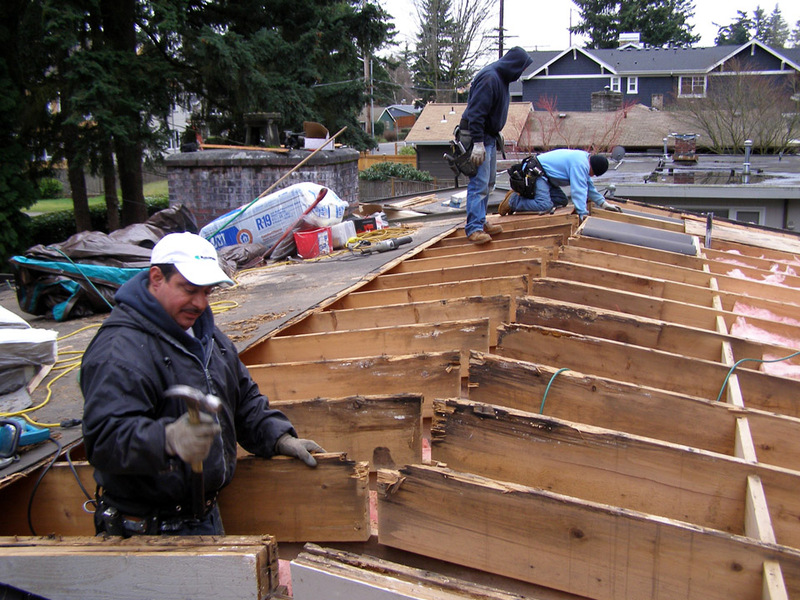 Sheathing over ship-lap decking, also shows the ridge opened up for ridge venting. 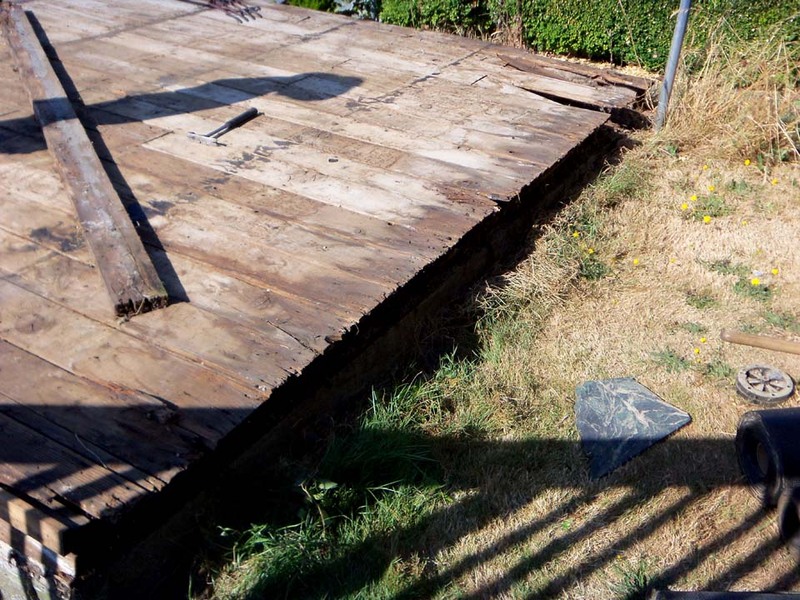 Ship-lap, a type of plank decking installed from the 1930s into the 1960s has been known to cause issues with composition shingles due to its irregularities. 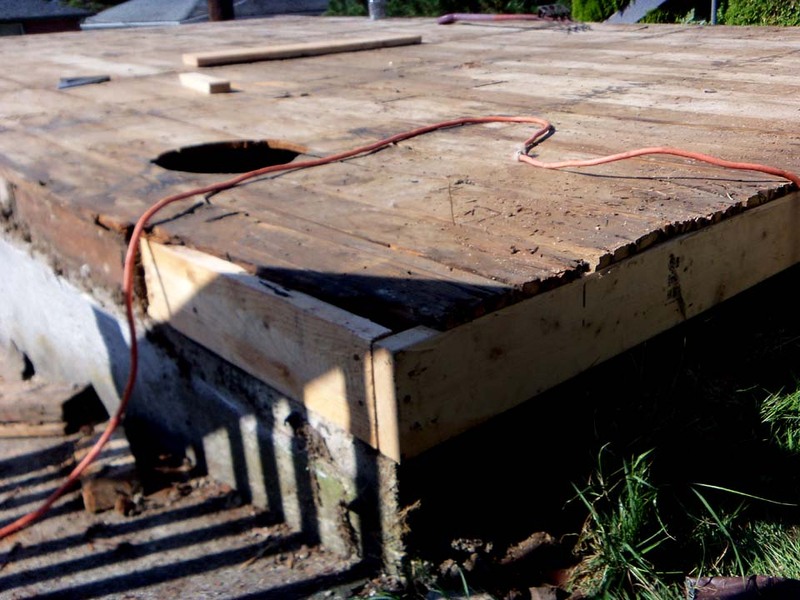 The ship-lap, or any other “solid” plank type roof decking, was typically green lumber (not kiln dried) and sometimes re-purposed up onto the roof having been used for concrete forms when building the homes’ foundation. 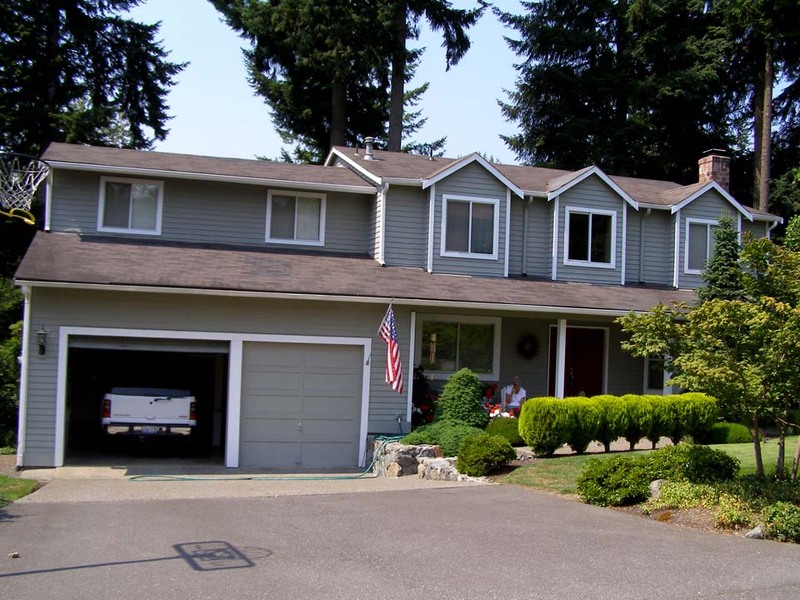 When new it was actually a nice tight roof deck system. 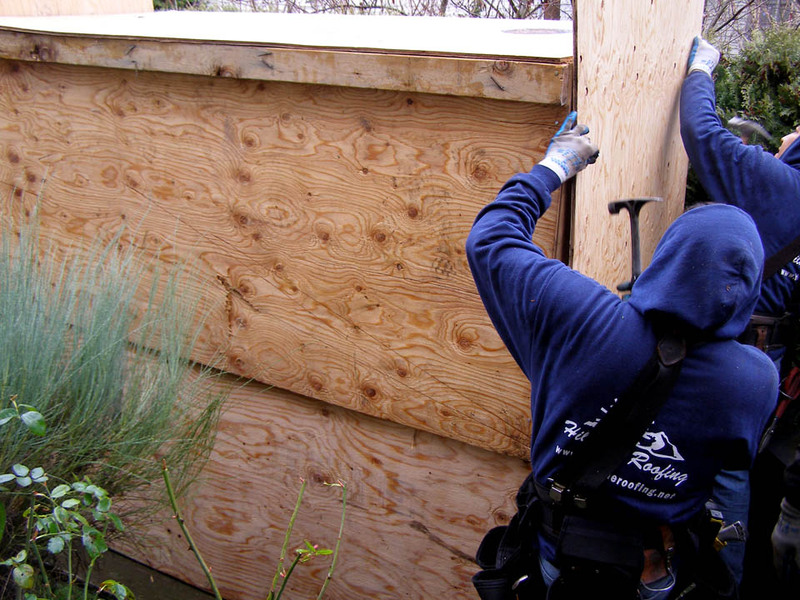 Over time the wood dries out, splits and cracks form, knots fall out and the boards warp and pull free from fasteners. 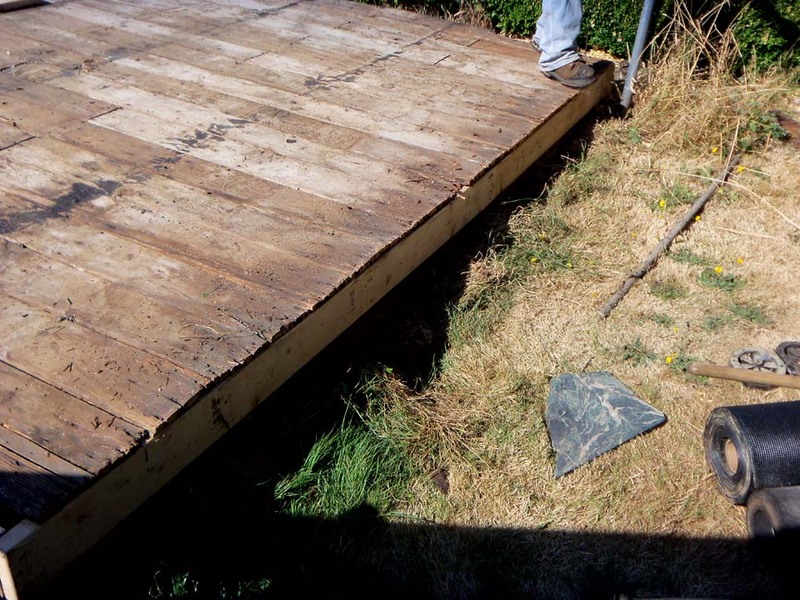 It is common to see a bulge in roofs where the end of a plank has sprung from its anchoring and is now curling away from the roof. Because these boards continue to expand and contract with temperature & humidity the problems just keep getting worse as time goes along. 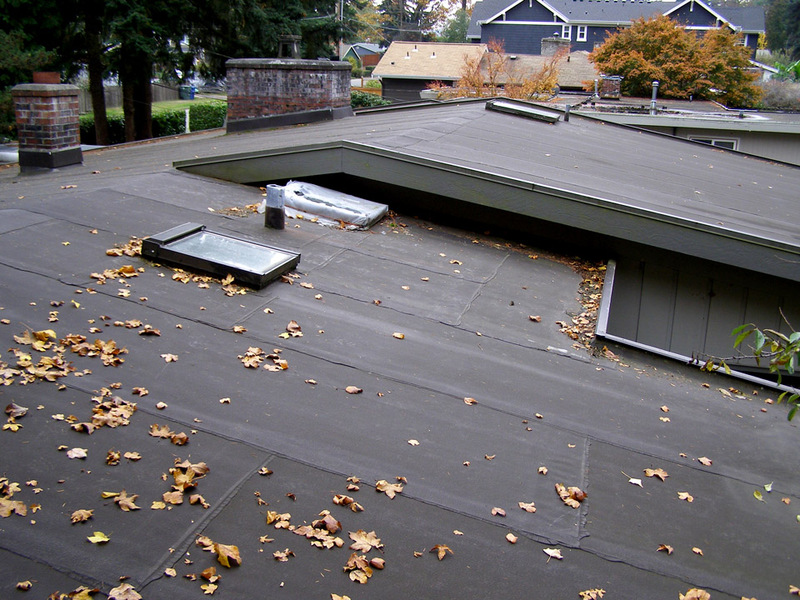 Most composition shingle manufactures will not warranty their products when installed over old plank type roof decking. 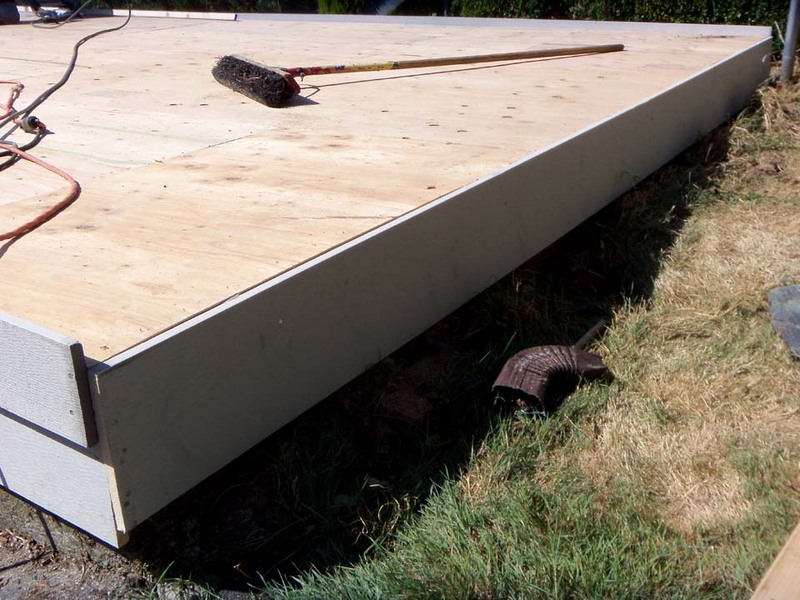 The sure-fire fix is to simply install CDX plywood over the original plank roof decking, eliminating any possible issues in the future. 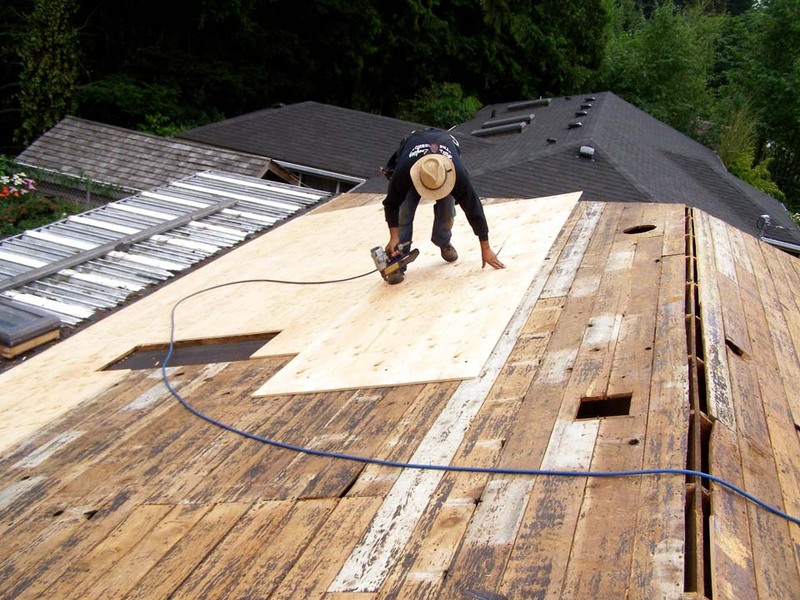 We install the plywood using standard building practices with end seams falling on rafters to provide the strongest, smoothest quality roofing results possible. 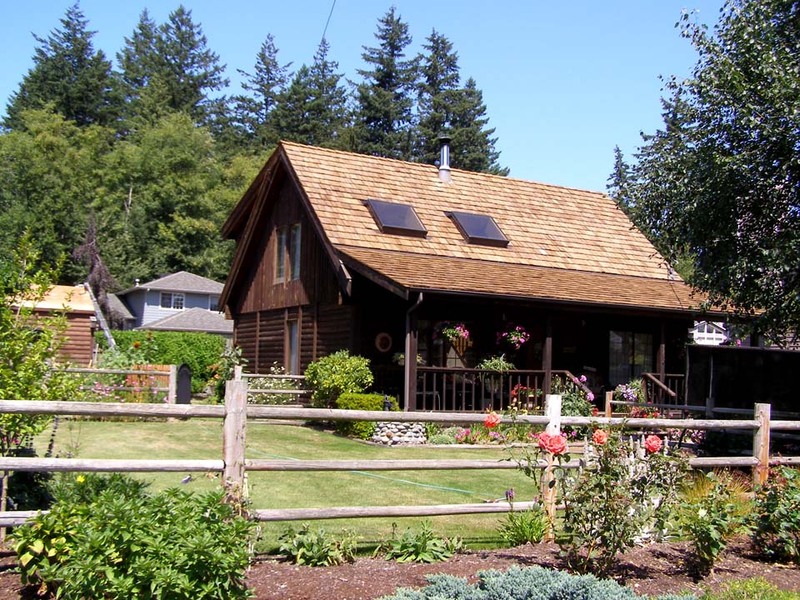 This project is very fine example of “raw” cedar shakes. 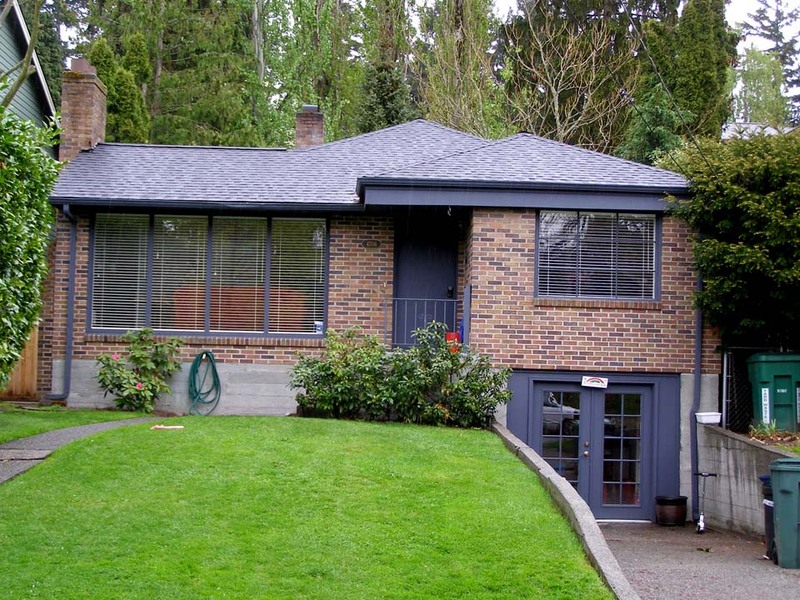 The customer, who works in advertising, coined the phrase “people love the sound of rain on our roofs.” Thanks, we couldn’t have said it any better. 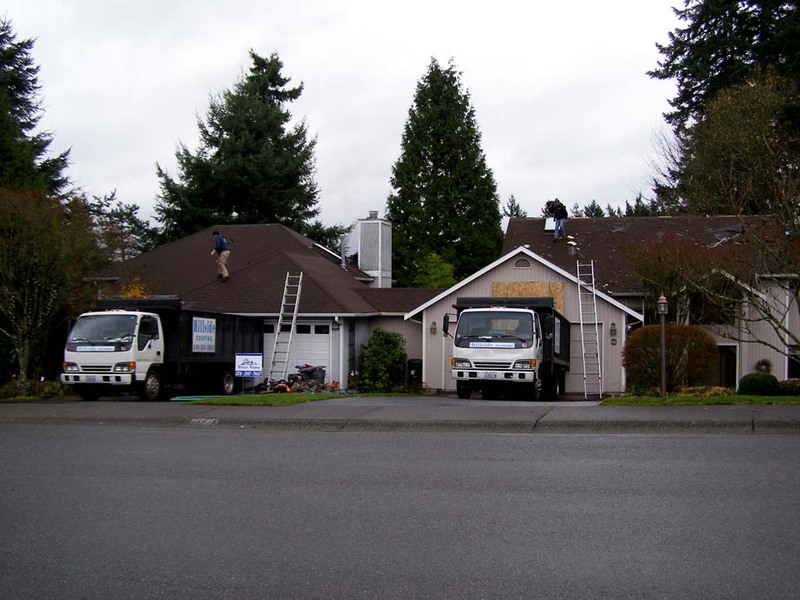 These pictures were taken at the start of the project and also mid-way through. We use our own dump trucks, not dumpsters. 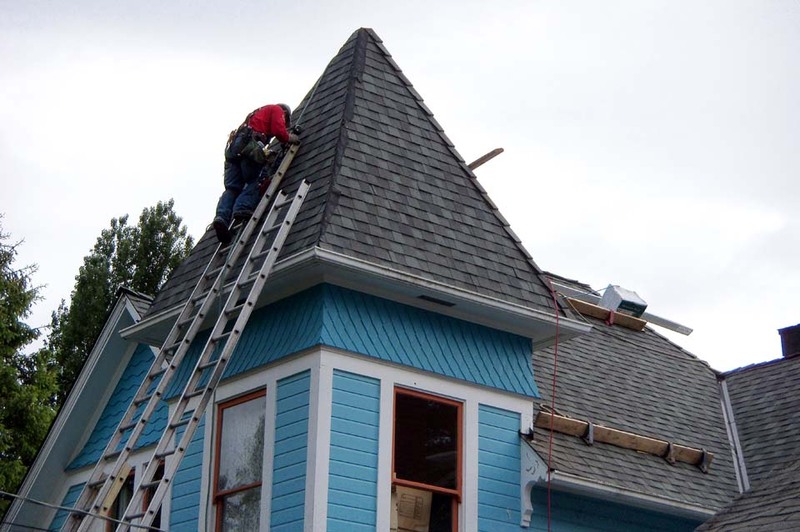 The typical re-roof project takes 2 – 3 days. 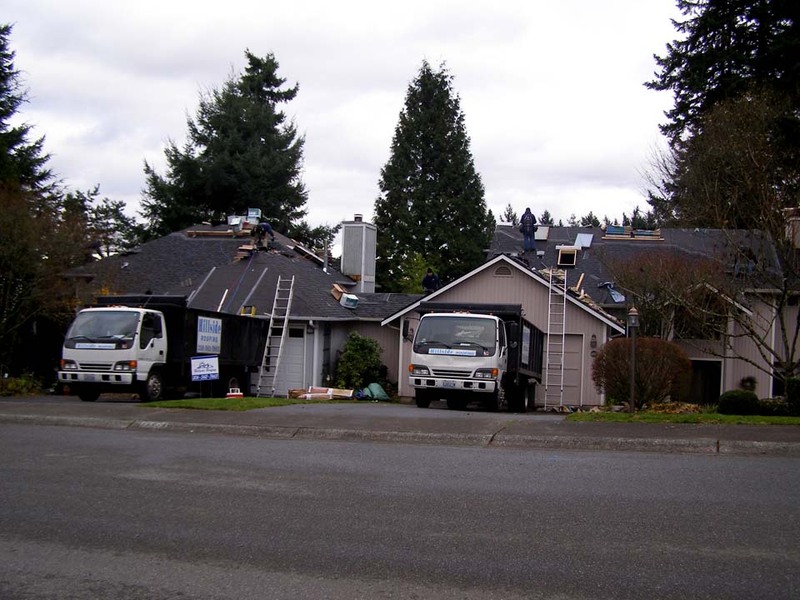 Use of our own dump trucks allow the customer have their driveway back overnight, this is not possible if there is a dumpster parked on site for the duration. 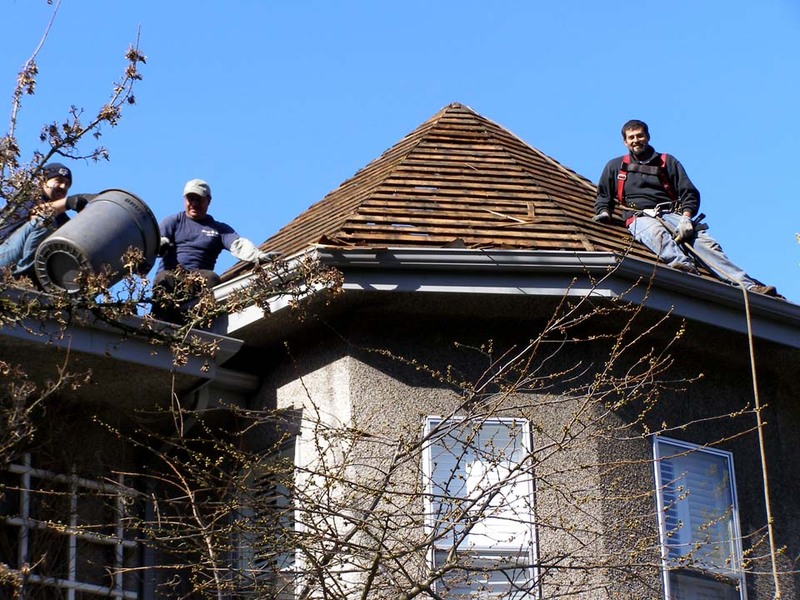 One of the little things we do to try to make the inconvenience of re-roofing somewhat less disrupting. 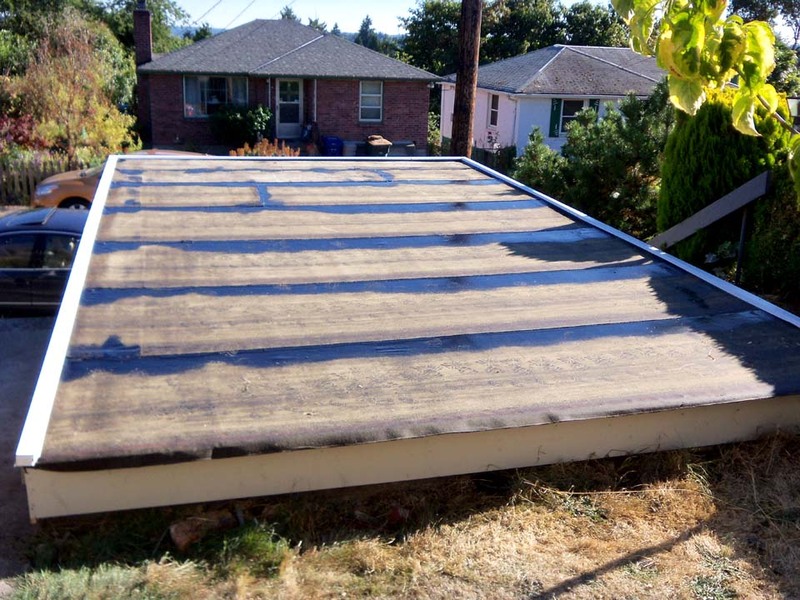 Just finished with the tear off of this single car garage roof – it was leaking! Starting to repair the damage. Freshly completed smooth surfaced modified bitumen membrane. 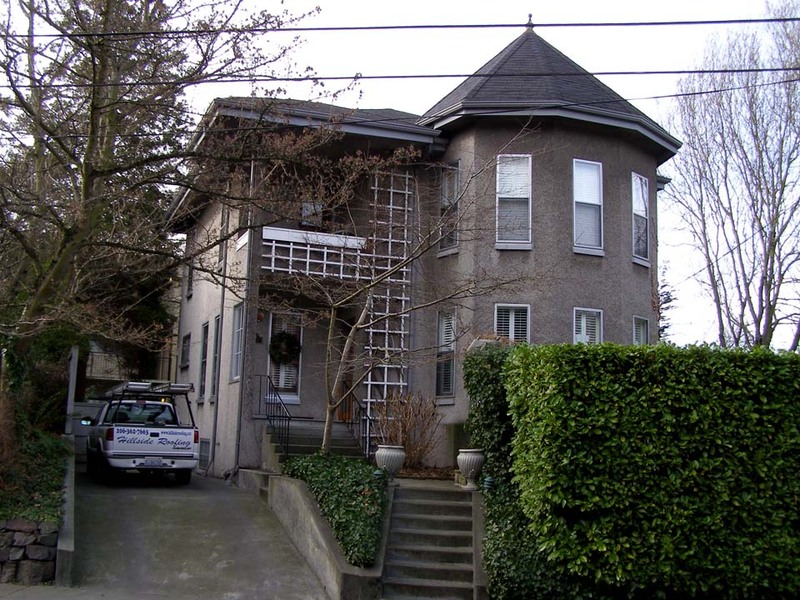 It was a priviledge for us at Hillside Roofing to work on this beautiful old home. 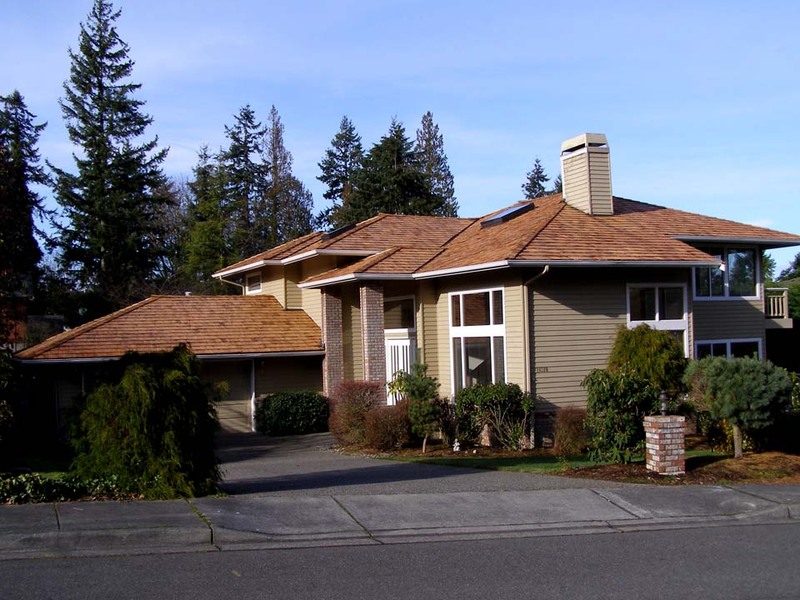 An example of another completed project by Hillside Roofing with high profile ridge cap and a continuous ridge vent system. 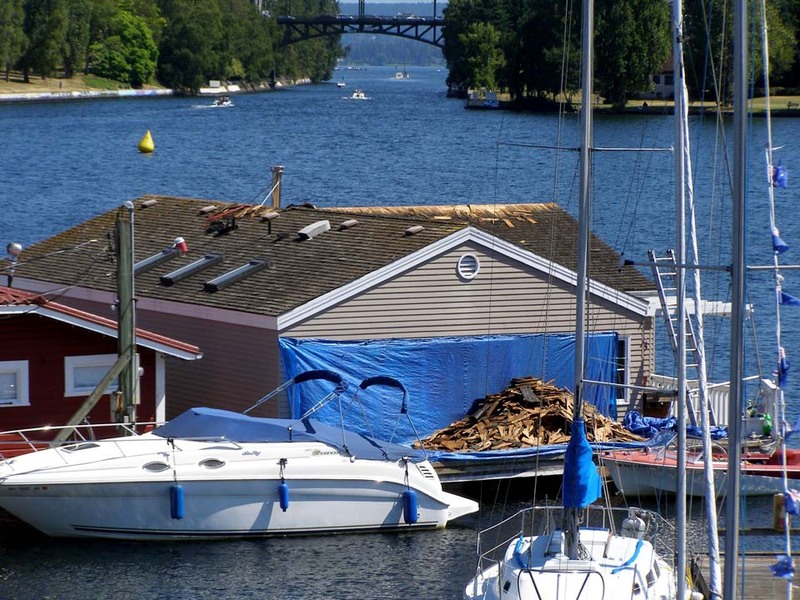 We do floating homes too! Working on the water requires special consideration for obvious environmental reasons and we are up to the task. 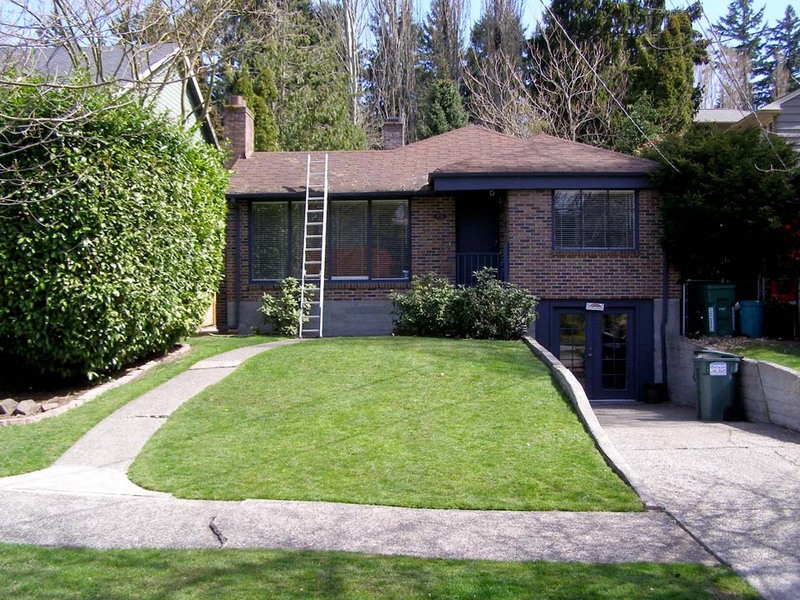 This picture was taken during our initial inspection. The roof itself doesn’t look too bad, right? Our first indication of a potential problem was the complete lack of attic venting. 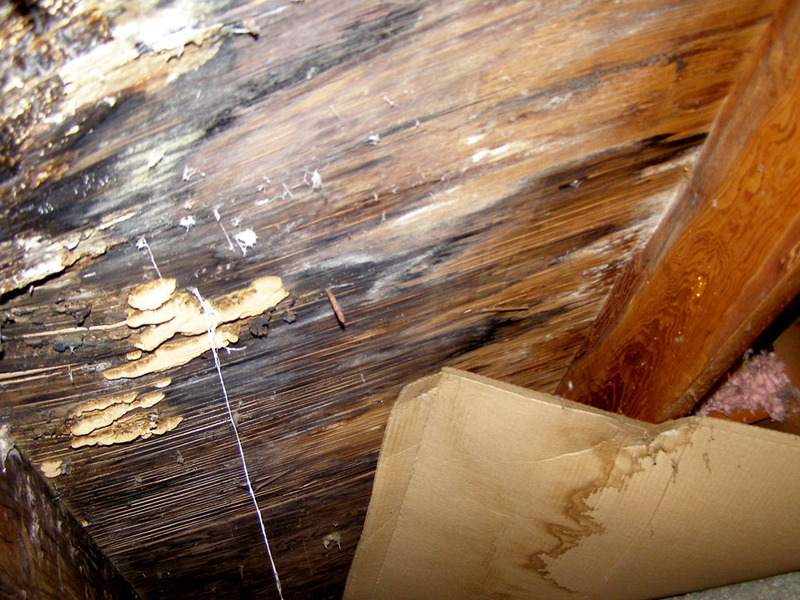 The lack of ventilation traps moisture inside the attic feeding various forms of nastiness. 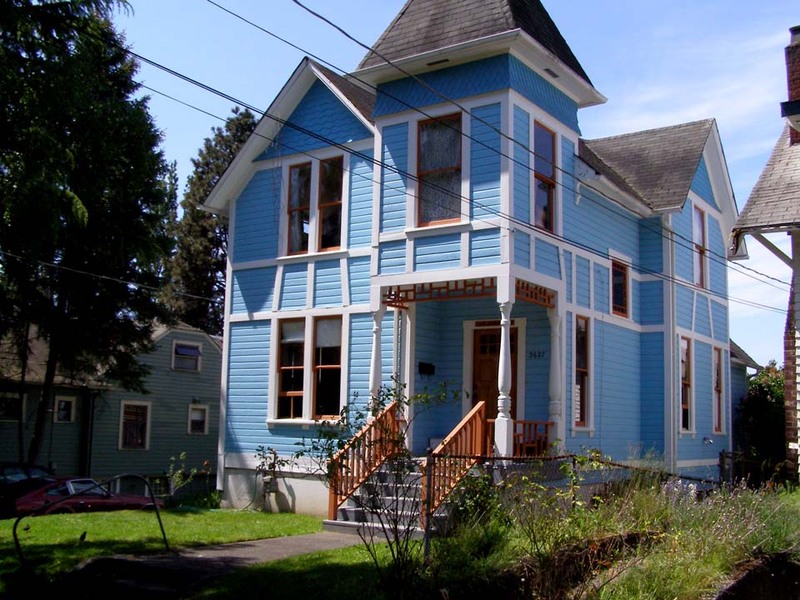 The attic structure is rotting from the inside out. 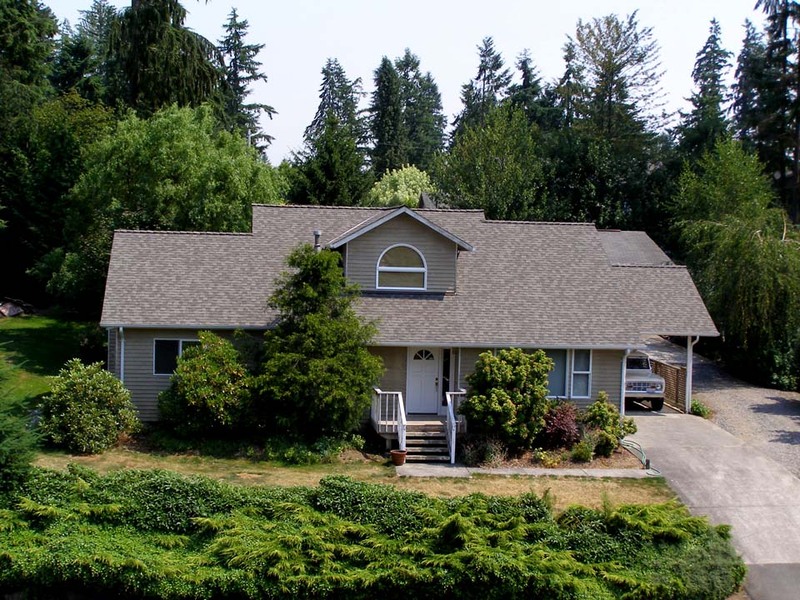 The source of moisture is usually not from a leaky roof, but actually from the living spaces below, migrating up into the attic where if not properly vented it can condense on surfaces promoting rot. Here we are repairing the damage due to insufficient attic ventilation, replacing the ridge beam and then moving on to the rafter damage. We have the skills to repair just about anything. 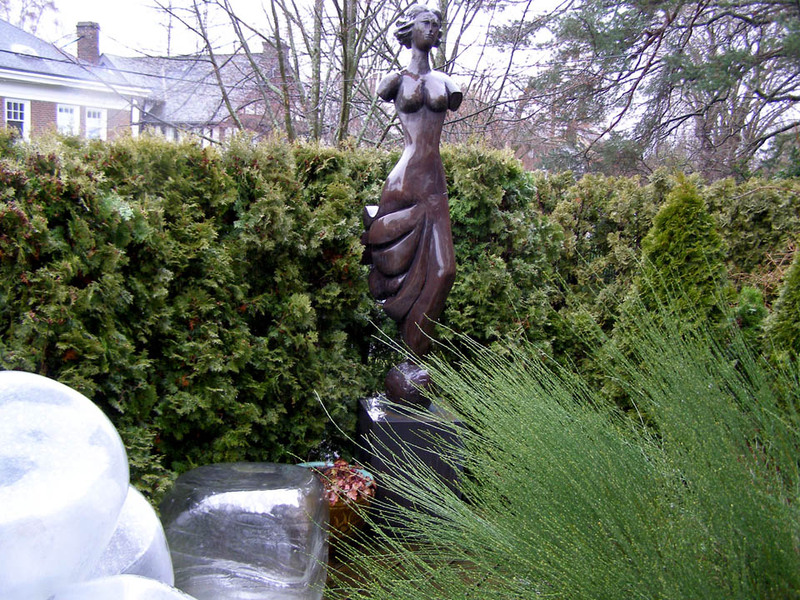 Here at Hillside Roofing & Gutters we take extreme care and consideration for your property including plantlife, existing structures and art pieces like this beautiful statue. 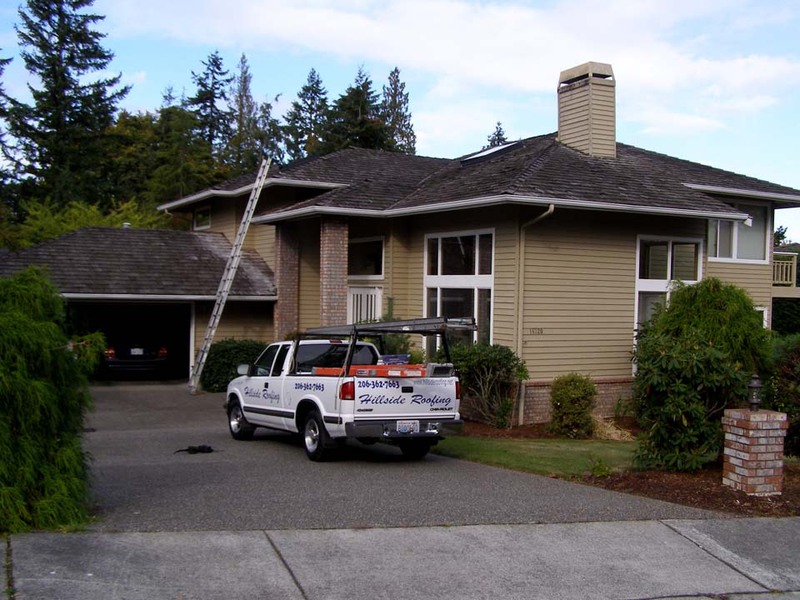 give Hillside Roofing & Gutters a call at 206–362–7663. 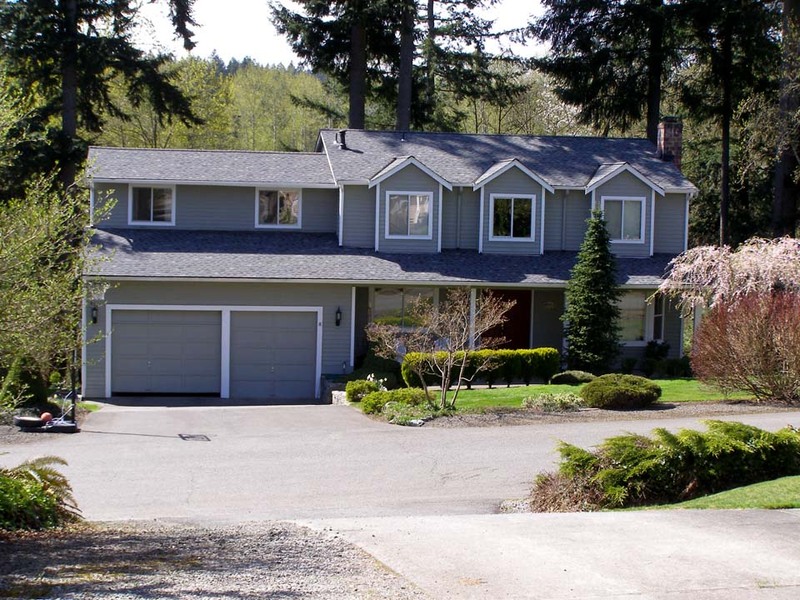 © Hillside Roofing & Gutters, Inc. | 206-362-7663 | Contractor’s Registration #HILLSRG021CC | Website designed by Strategic Marketing, Inc.